It's Jubilee Weekend here in the UK, to celebrate Queen Elizabeth the 2nd's Diamond Jubilee. The nation will be celebrating with street parties, processions and concerts. You can't move for Union Jack flags, bunting and memorabilia, and we have two days public holiday to make a 4 day weekend..... yippee! ..shoes fit for a Queen! Just pure impractical gorgeous'ness. 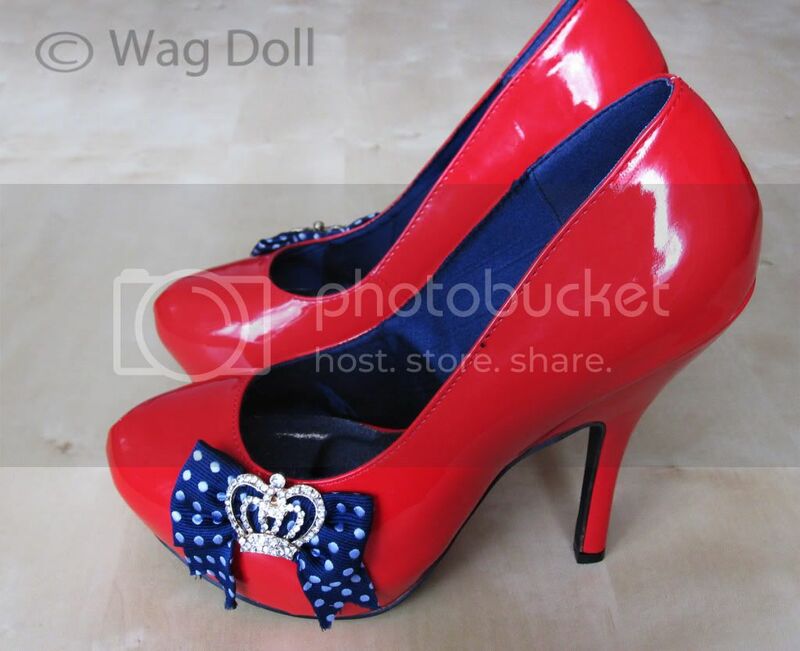 The shoes are actually Miss Wag Dollette's...but luckily we are the same shoe size and I've got my eye on them! If you want your own pair you can get them at Schuh, style Colette £60, online here. In between the festivities I'm hoping to do some sewing and Wag Doll Protocol workouts (and no, I won't be wearing these for either activity! ).